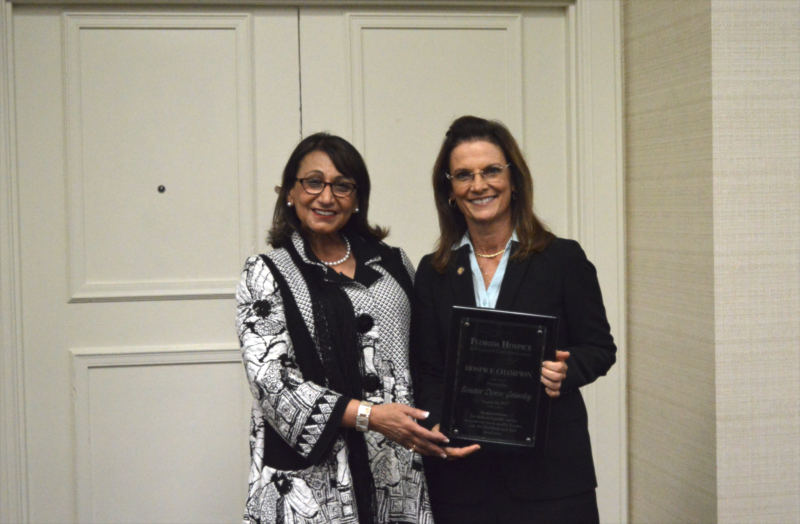 Tallahassee, Fla.—During the Florida Hospice and Palliative Care Association’s (FHPCA) fourth quarter Board Meeting at Hilton Bayfront in St. Petersburg, Hope Healthcare President and CEO Samira K. Beckwith presented Senator Denise Grimsley with the Hospice Champion Award. 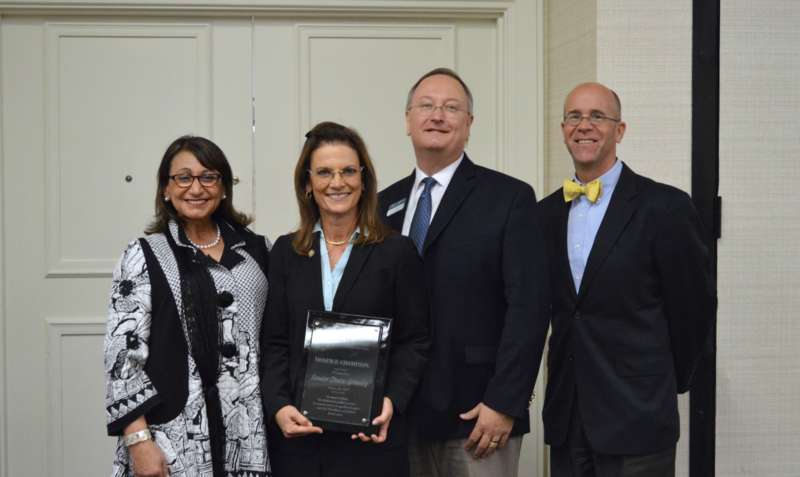 FHPCA recognized Senator Grimsley’s role in serving as a champion for hospice and palliative issues during the 2017 Legislative Session. Senator Grimsley has over 10 years of public service. She is a registered nurse and also currently serves as a Hospital Administrator for Florida Hospital Wauchula and Lake Placid. She has served on the board for Good Shepherd Hospice. During the 2017 regular session, she sponsored the Senate portion of FHPCA’s bill “An Act Related to Hospice” (SB 474). This bill was passed into law addressing quality measures, prescription drug disposal after a patient’s death, and obtaining records after death. Senator Grimsley’s district (26) includes Hardee, Desoto, Highlands, Okeechobee, Glades, and parts of Polk, Charlotte, and Lee counties. The hospice programs serving those counties are Compassionate Care Hospice, Cornerstone Hospice and Palliative Care, Chapters Health System, Good Shepherd Hospice, Hospice of Okeechobee, VITAS Healthcare, Tidewell, Treasure Health- TCH, VNA Hospice of Indian River County, and Hope Hospice Healthcare. FHPCA’s board is comprised of 41 hospice executives representing their hospice organizations in Florida. The board strives to assure excellence in and expand access to hospice and palliative care and advocates for the needs of those in the final phases of life. 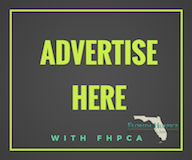 The vision of FHPCA is to continue making Florida a model state for hospice and palliative care services.